Prodigy is an often overused word. It’s used to describe young children who show a modicum of talent in sport and music. Sadly, and all too often, those that are described as a prodigy never fulfil their supposed potential. The young ball player ends up parking cars, and the prodigious violinist pumping gas. However, there are some prodigies who fulfil their potential, including alto saxophonist Arthur Blythe. He was born in Los Angeles on July 5th 1940. When he was nine, Arthur Blythe discovered the alto saxophone. Soon, he was taking lessons with a family friend, and saxophonist Junior Foster. He taught Arthur Blythe, and watched as he progressed from elementary school orchestra to the marching band. Within a few years, Arthur Blythe’s life would change, when he discovered jazz in his mid-teens. This was a game-changer. Previously, Arthur Blythe loved R&B. That was his music. Then he discovered jazz. Arthur Blythe was then taught by Kirkland Bradford, who had played in Jimmie Lunceford’s swing band. However, it wasn’t swing that Arthur Blythe gravitated towards. Instead, it was Thelonius Monk and then John Coltrane. It was only later, that Arthur Blythe discovered one of the greatest saxophonists, Charlie Parker. By then, Arthur Blythe lived and breathed jazz. He had discovered his purpose in life, and that was playing jazz saxophone. While this is usually a dream for most young musicians, Arthur Blythe lived this dream; first as sideman and then as a solo artist. His solo career began in 1977, when Arthur Blythe signed to India Navigation. By 1978, Arthur Blythe had signed to a major Columbia, where he released Lenox Avenue Breakdown, In the Tradition, Illusions and Blythe Spirit. They have recently been reissued by BGO Records on a two disc set, and are the perfect introduction to Arthur Blythe. 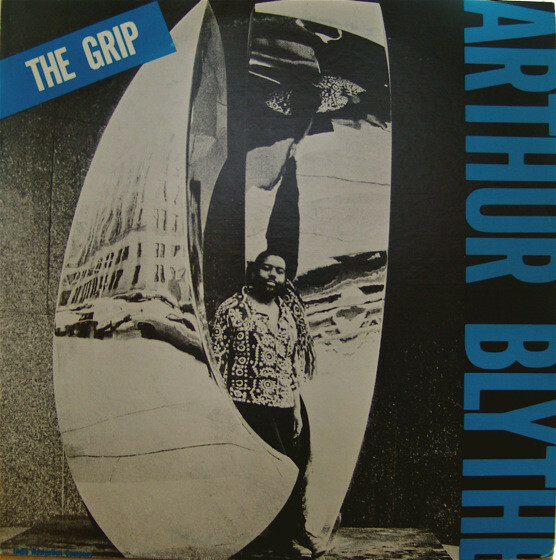 However, in the mid-sixties, Arthur Blythe was still finding has way as a musician. By the mid-sixties, Arthur Blythe went in search of like-minded musicians. He found them at The Underground Musicians and Artists Association, which had been founded by pianist and composer Horace Tapscott. This was the perfect environment for an up-and-coming musician. Not only was Arthur Blythe surrounded by innovative and influential musicians, but it lead to him making his recording debut. Alas, the celebrations were cut short when it became clear that Horace Tapscott wasn’t going to be involved in mixing The Giant Is Awakened. Horace Tapscott wasn’t pleased. For Horace Tapscott who was already suspicious of the music industry, this was enough for him to turn his back on the recording industry for ten years. This was ironic. He was establishing a reputation as a leading light of avant-garde scene. Leon Thomas had also recently worked with a man from Arthur Blythe’s past, Bob Thiele. Their paths would cross again. That was in the future. Arthur Blythe was part of Leon Thomas’ band, and that was where he was ‘spotted’ by one of the biggest names in jazz, Chico Hamilton. He played on Chico Hamilton’s 1975 album for Blue Note, Peregrinations, and the 1976 followup Chico Hamilton and The Players. Right through to 1977, Arthur Blythe played alongside Chico Hamilton. However, by 1977, his talents were in demand. In 1976, Gil Evans Orchestra were looking for an alto saxophonist. Arthur Blythe answered the call, and would spend several years working with the Gil Evans Orchestra. When he was neither working with Chico Hamilton nor the Gil Evans Orchestra, worked with a variety of jazz musicians. The same night that The Grip was recorded at The Brook, the tapes were left running and a second live album was recorded, Metamorphosis. It was also released later in 1977, and just like The Grip, Metamorphosis, was an album that found favour with critics. They were impressed by Arthur Blythe’s distinctive and unique sound, as he and his band of musical free spirits took the listener on an another musical adventure. 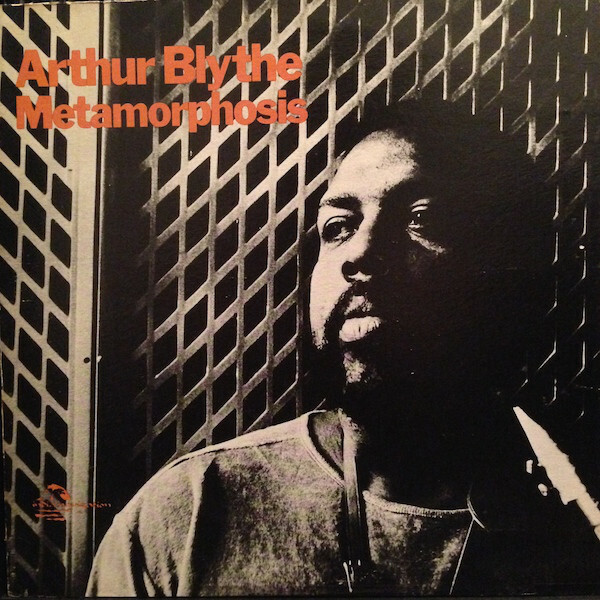 For critics and the record buyers who discovered Metamorphosis, it was a tantalising taste of what was to come from Arthur Blythe. For In The Tradition, Arthur Blythe composed Break Tune and Hip Dripper. The rest of the tracks were cover versions, which took Arthur Blythe back to his teenage years. 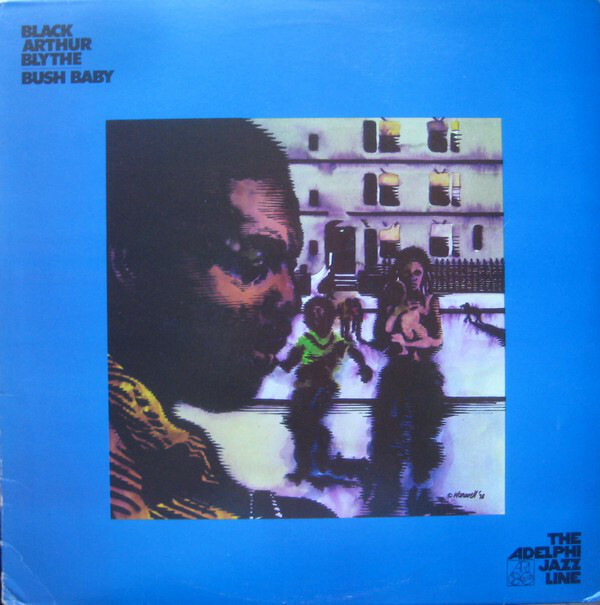 Fats Wallers’ Jitterbug Waltz had been a favourite, when R&B was Arthur Blythe’s passion. The other songs included a cover of Duke Ellington’s In A Sentimental Mood, and Caravan, which the Duke penned with Irving Mills and Juan Tizol. However, the album closer was Naima, which was written by one of the artists who inspired Arthur Blythe, John Coltrane. These six tracks were recorded at Mediasound Studios, in New York. Critics were in for a surprise when they heard In The Tradition. This time, there were neither sonic experiments, nor musical adventures from Arthur Blythe. Instead, as the title suggested, the album had a much more traditional sound. The quartet embraced and enjoyed this return to a more traditional sound. It allowed the quartet to showcase their considerable skills. This was something critics remarked upon, praising and lauding the standard of musicianship on display on In The Tradition. Especially on standards like In A Sentimental Mood and Caravan. 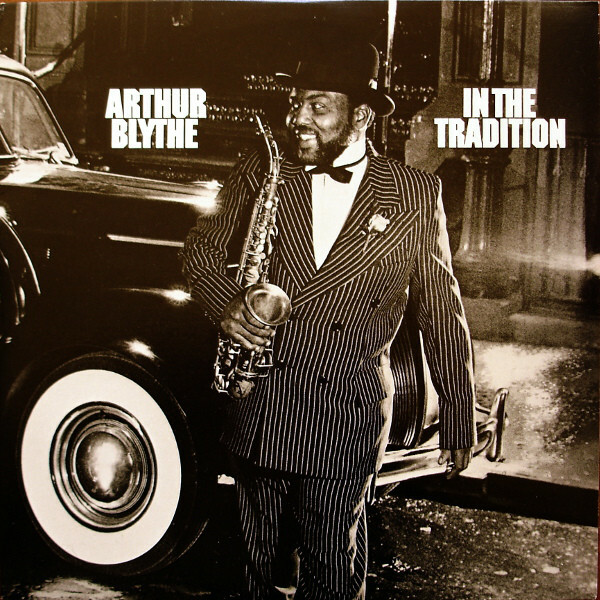 Then on Naima, Arthur Blythe pays homage to Trane. He also showcases his skill as a composer and musician on Break Tune and Hip Dripper. When In The Tradition was released later in 1979, it was to critical acclaim. 1978 was one of the busiest years of Arthur Blythe’s career so far. Away from own his recording career, Arthur Blythe still worked as a sideman. He headed out on tour with Gil Evans, and recorded two live albums on the night of February 25th 1978. The first was Gil Evans Live at the Royal Festival Hall London, which wasn’t released until 1979. That same night, The Rest of Gil Evans Live at the Royal Festival Hall London 1978 was recorded. However, it wasn’t released until 1981. Two months later, and Arthur Blythe was back in the recording studio. He played on two albums by Lester Bowie, The 5th Power and African Children. They were recorded between April 12th and 17th 1978. However, Arthur Blythe wasn’t finished working as sideman yet. Bob Stewart the longest serving member of Arthur Blythe’s band, played an important part on Lenox Avenue Breakdown. Especially on the title-track, a thirteen minute epic, where he delivered what’s considered one of the finest tuba solos in modern jazz. That’s just one reason why Lenox Avenue Breakdown is the album’s centrepiece. However, the new band all play their part on album that critics exhausted superlatives on. When Lenox Avenue Breakdown was released in 1979, the album never troubled the US Billboard 200. Even in the US Billboard Jazz Albums Charts, Lenox Avenue Breakdown reached just thirty-five. 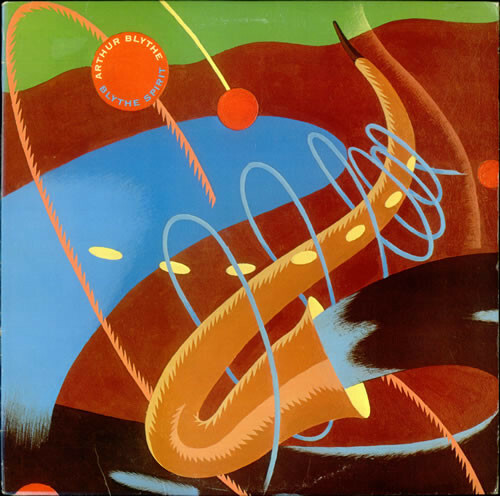 Arthur Blythe’s Magnus Opus, was indeed: “one of the lost masterpieces of modern jazz.” The next time Arthur Blythe stepped into a studio would be to play on an album by one the band that played on Lennox Avenue Breakdown. This included recording a new album with Gil Evans in July 1979. To do this, he had to catch a flight to Rome. That was where Gil Evans was going to record his next album. On July 29th 1979 at Trafalgar Studios, Rome Arthur Blythe was part of Gil Evans’ band that recorded the double album Parabola. However, the next time Arthur Blythe was with Synthesis. Two years had passed since the released their debut album Six By Six. When it came time to record Segments in 1979, Arthur Blythe got the call. Having recorded the album with Synthesis, Arthur Blythe, got the opportunity to accompany another jazz great, McCoy Tyner. Playing in McCoy Tyner’s band kept Arthur Blythe busy for the rest of 1979, and into early 1980. McCoy Tyner was about to record a double album with a quartet, and wanted Arthur Blythe to feature on it. Seven musicians would feature on the eleven tracks that became Quartets 4×4. Recording of Quartets began at Rudy Van Gelder Studio, Englewood Cliffs, New Jersey on March 3rd. This was the day that that Arthur Blythe was needed. He recorded Blues in the Minor, Stay As Sweet As You Are and It’s You Or No One, and that was his part complete. Now his thoughts could turn to his solo carer, his third Columbia album Illusions. 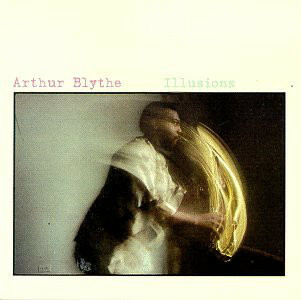 Following the release of Illusions, Arthur Blythe returned to working as a sideman. Later in 1980, he played on Gil Evans’ album Live at the Public Theater Volume 1 and 2. The other album Arthur Blythe played on, was John Fischer’s 1980 album 6 × 1 = 10 Duos for a New Decade. Working on such an ambitious album, must have given Arthur Blythe food for thought. They had placed their faith in Arthur Blythe, and gave him the freedom to release albums that featured ambitious, inventive and innovative. 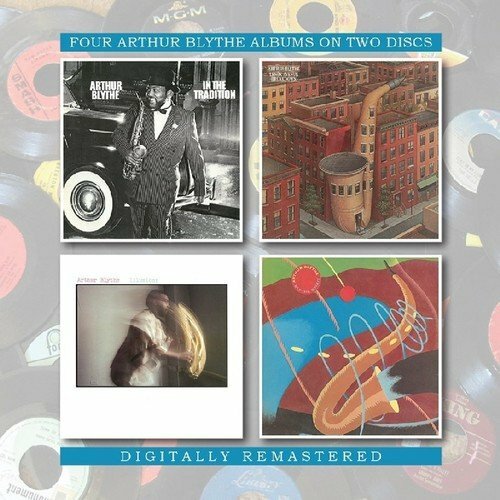 Sometimes it was almost experimental, as Arthur Blythe became a sonic explorer and took his music in unlikely directions on his four albums for Columbia.They’ve recently released by BGO Records as a two disc set, consisting of Lenox Avenue Breakdown, In the Tradition, Illusions and Blythe Spirit. This two disc set the highpoint of Arthur Blythe’s Columbia years. His finest moment of his first four albums for Columbia was Lennox Avenue Breakdown, which was Arthur Blythe’s Magnus Opus. 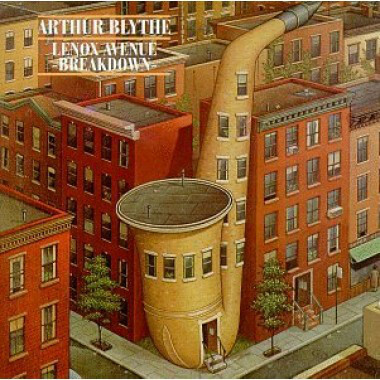 It was the best of the seven albums Arthur Blythe had released between 1977 and 1981.Lennox Avenue Breakdown was was an album that Arthur Blythe would struggle to surpass. Illusions was a fitting followup to Lennox Avenue Breakdown, and came close to reaching the heights of Arthur Blythe’s finest hour. However, Arthur Blythe’s Columbia debut, In The Tradition, features a much more conventional sound. However, Blythe Spirit the Arthur Blythe’s fourth for Columbia, was a genre-melting album where avant-garde, post bop and R&B were combined. This might seem like an unlikely fusion, but it was a veritable musical feast that showed yet another side to Arthur Blythe. He switched between a trio, quartet and quintet, unleashing conventional, ambitious and even swinging, rousing music. This was a captivating way to end the first part of the Columbia years. Having released four albums for Columbia, Arthur Blythe would released another five albums between 1982 and 1987. During that period, Arthur Blythe continued to work as a sideman. This is something he had done between 1978s In The Tradition and 1981s Blythe Spirit. There’s every possibility that working with some of the biggest names in jazz inspired Arthur Blythe, and played a part in the direction his music took. It certainly took a few twists and turns, as the onetime prodigy Arthur Blythe’s first four albums contained some of the best, and most ambitious, creative, influential, innovative and inventive music of a solo career that’s spanned four decades. Sadly, despite enjoying such longevity, Arthur Blythe is still one of jazz music’s best kept secrets. Maybe BGO Records’ reissue of Arthur Blythe’s first four Columbia albums, will result in his music being rediscovered by a wider audience, who will appreciate, embrace and enjoy albums like Lenox Avenue Breakdown, In the Tradition, Illusions and Blythe Spirit? ← BOB LIND-MAGELLAN WAS WRONG. Thank you Mr. Derek. A rare and worth excursus of a sadly missed great musician, still not known as he deserved. Thanks for your kind comments. It’s a shame that Arthur Blythe didn’t enjoy the success his talent deserved during his lifetime. Hopefully reissues like BGO Records’ will introduce his music to a much wider audience.